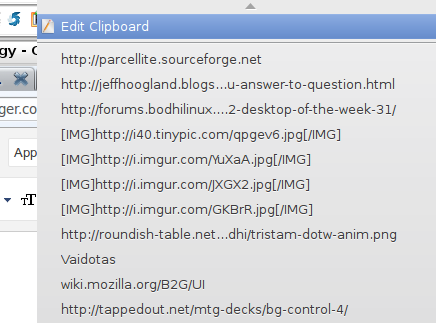 I've been using Clipit, which was forked from Parcellite (http://sourceforge.net/projects/gtkclipit/). It's one of my "must have" pieces of software. Have you tried it? And, if so, how does Parcellite compare to it? Please do more posts like this, they are a great way to contribute to knowledge-sharing. 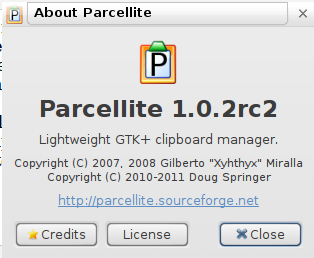 I used to use Parcellite too, and I tried all the others I could find; glipper, klipper, etc. but I missed features that were not there. Finally I decided to try and write my own, also in GTK+ (and Python). It's coming along well, I use it everyday. Clips saved in a SQLite database. History is sortable different ways. 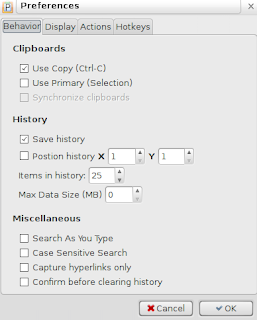 Small "Action Window" allows creating, editing and manipulating clips, has a spell checker. Simple plugin architecture uses python scripts. Exisitng plugins (15) sort lines several ways, remove/replace characters, shorten URL's, post on Pastbin, etc. 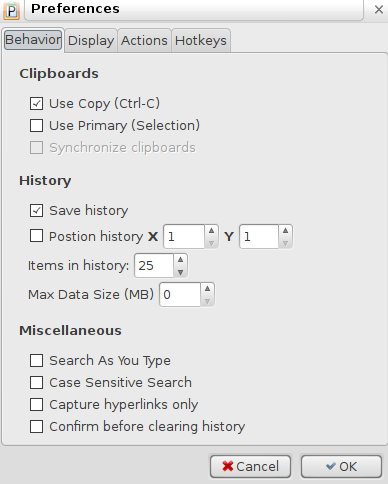 On feature I particullarly wanted was to collect everything copied to clipboard into one clip, while feature is toggled on. I have lots more ideas and improvements planned too. Forgot to mention my clipboard manager can save long-term snippets in categories (user specified, also icon). Both clips and snips can have a title that shows in menu instead of the clip/snip it's self. just installed it. I have to say it is making my Linux experience more enjoyable. Thanks.